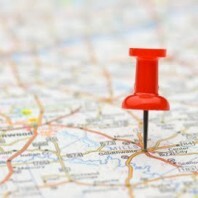 Home » Our Blog » Location, location, location? Not in PR. Whether you’re embarking on a PR programme for the first time (congratulations!) or you’re looking to review your current PR arrangements, choosing the right PR agency is the all-important decision you don’t want to get wrong. How do you go about finding the PR agency of your dreams? You’re probably going to switch on your computer, fire up Google and search ‘PR agencies in INSERT YOUR CITY HERE’, right? We’re going to stop you right there. Location is no longer a leading factor in selecting a PR agency. We are living in a networked age, where technology connects you with your PR agency, and connects your PR agency with the media, regardless of latitude and longitude coordinates. Your choice is no longer limited to Manchester +10 miles, allowing you to focus on more important criteria when choosing the PR agency that offers the best fit for you and your company. So what exactly should you be looking for? Knowledge of your industry. A PR agency that is familiar with or specialises in your industry will provide far better material for your audience, will better understand the complexities of your market and, most importantly, they’ll have the connections and relationships that matter. Ability and performance. Great PR is all about results, results, results. Quite simply, a high quality PR agency will get you more coverage, more impressions and more success than an agency whose sole advantage is close proximity. Referrals. Word of mouth speaks volumes. Talk to the media – they are best placed to tell you which PR agency to contact, and more importantly, who not to contact. Butterflies in your stomach. Above all else, pick the PR agency that not only delivers, but offers a spark of chemistry. You’re about to commit to a long-term relationship, so get it right at the offset and you’ll both live happily ever after. Of course, if you’re targeting a small, local population, a PR agency based in the same area may in a better position to understand your audience. But largely, in today’s world, location should be way down on your list of criteria. So if you need help choosing a PR agency, or better yet want to choose Wentworth PR, contact us today on 0161 973 6763. ← Sponsorship – Success or PR crisis?